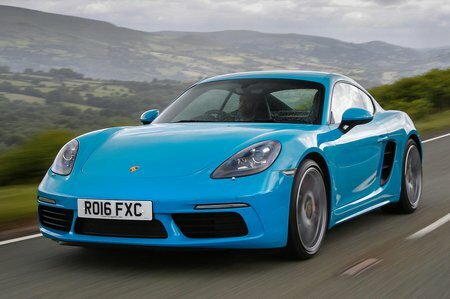 Porsche Cayman 2.0 2dr 2019 Review | What Car? With 295bhp and 280lb ft of torque, this 'entry-level' turbocharged 2.0-litre engine will rocket you to 62mph in 5.1sec if you stick with the standard six-speed manual gearbox. There's plenty of pull from low revs, although it's a real shame that the engine doesn't sound more tuneful. A seven-speed PDK automatic gearbox is optional.